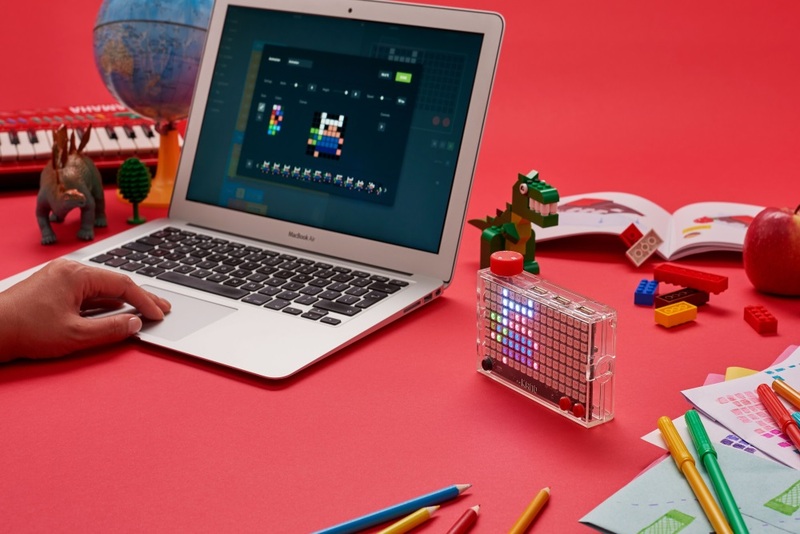 Kano, a DIY computer kit company that launched three years ago, released a new pixel grid kit where users can create their own code to get the lights on the display to operate. The kit arrives unassembled, prompting users to follow the step-by-step guide to put it together. Additionally, the guide teaches them the basics of the grid and how to get a classic game of Snake working on it. Gradually, when users feel ready, they can hook it up to their computer and download the Kano Code application where they then input their own code. That said, it works differently than standard coding. Instead of plain text, users work with a block system, dragging and dropping small squares that symbolize specific actions the grid preforms. Through these blocks, users can change the light colors and frequency. Kano has the Pixel Grid kit for sale on their website for $79.99, with additional kits getting released in the future.